This official site of http://www.jktyre.com has been developed to provide general public information. The documents and information displayed in this site are for reference purposes only. The content on the site is updated on a continual basis. While JK Tyre & Industries Ltd attempts to keep its web information accurate and timely, it neither guarantees nor endorses the content, accuracy, correctness or completeness of the information, text, graphics, hyperlinks, and other items contained on this server or any other server. As a result of updates and corrections, web materials are subject to change without notice from JK Tyre & Industries Ltd. Commercial use of web materials is prohibited without the written permission of the company. JK Tyre & Industries Ltd is neither responsible nor liable for any viruses or other contamination of your system, nor for any delays, inaccuracies, errors or omissions arising out of your use of the site or with respect to the material contained on the site. The company is not responsible for any special, direct, indirect, incidental, punitive or consequential damages that may arise from the use of, or the inability to use, the site and/or the materials contained on the site whether the materials contained on the site are provided by JK Tyre & Industries Ltd.
No document from the www.jktyre.com site should be copied, reproduced, published, downloaded, posted, transmitted or distributed in any manner, except for the case of a simple recording of documents on your personal computer for users personal use and without any commercial purpose. 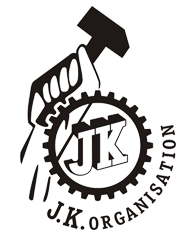 Users agree to indemnify JK Tyre, its Directors, Employees, Subsidiaries and Affiliates harmless for any claim or contractual responsibility, criminal responsibility or any other claims, for all indirect or direct loss, incidents or ancillary of whatever nature resulting out of the use of this site or any information obtained from its site. All disputes relating to the site or to the present notice shall be brought before the Court at New Delhi / Delhi, India and will be governed according to Indian Law, independently of the rules concerning conflicting legislation. Use of the site www.jktyre.com indicates your express agreement with the application of the present jurisdiction clause. In the event of one of the elements of these conditions of use being judged illegal, null or inapplicable for whatever reason, it will no longer be considered part of the conditions of use and will not affect the validity or application of the other elements.